NASFAA Leadership & Legislative Conference & Expo participants are encouraged to participate in meetings with their elected officials in the U.S. Congress on Capitol Hill. With reauthorization on the horizon, having financial aid professionals meet with members of Congress and staff to provide an on-the-ground perspective is more important than ever. 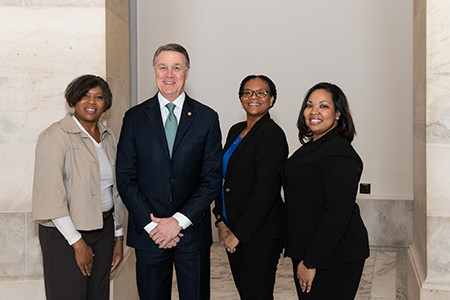 This year, the Capitol Hill Day occurred on Wednesday, February 27, in conjunction with the 2019 NASFAA Leadership & Legislative Conference & Expo. View more photos from the 2019 Capitol Hill Day.